The Politics of China: Sixty Years of The People’s Republic of China. 3rd Edition. Edited by Roderick MacFarquhar. Cambridge University Press 2011. ISBN: 0521145317; 9780521145312; 0521196930; 9780521196932. Thirty years ago, China was emerging from one of the most traumatic periods in its history. The Chinese people had been ravaged by long years of domestic struggle, terrible famine and economic and political isolation. Today, China has the world’s second largest economy and is a major player in global diplomacy. 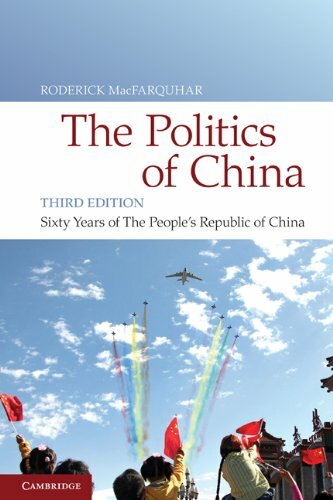 This volume, written by some of the leading experts in the field, tracks China’s extraordinary transformation from the establishment of the People’s Republic of China in 1949, through the Great Leap Forward, the Cultural Revolution and the death of Chairman Mao, to its dynamic rise as a superpower in the twenty-first century. The latest edition of the book includes a new introduction and a seventh chapter which focuses on the legacy of Deng Xiaoping, the godfather of China’s transformation, under his successors Jiang Zemin and Hu Jintao.